Many people think of floor graphics mainly when they go to a sporting event, such as a basketball game. Not many people think about using the floor as extra marketing space. 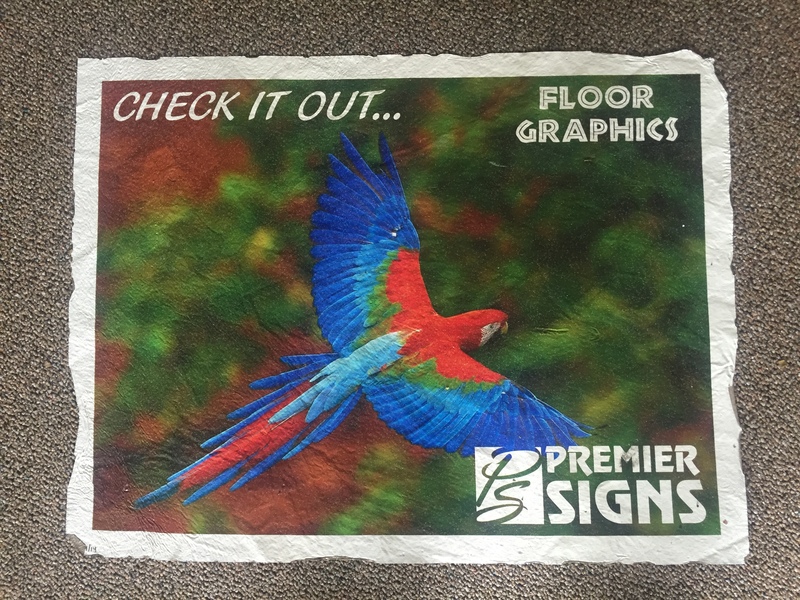 No matter if it’s an encouraging message, logo or a directional cue, we are able to make custom floor graphics for you! 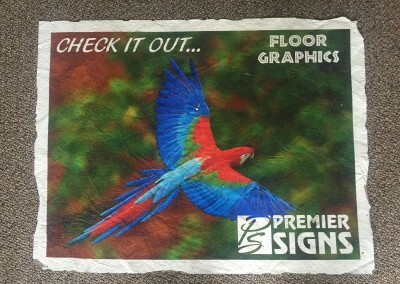 The best part about floor graphics is that they are made with an anti-slip material and can be used inside or outside. It is an easy and efficient way to market to your customers!